Sometimes, the pain may be sharp and stabbing, feels like something is squeezing your chest. Many people assume that they are experiencing a heart attack. However, the pain in this location is not commonly heart-related. Most cardiac-related pains occur under your left rib cage. The pain under your right rib cage can be mild or severe depending on the causes. A sudden and sharp pain around your rib cage indicates that an injury or muscle pull. It could also be related to the inflammation of your organs. If you have a pain after eating, it may be related to digestive problems such as indigestion, heartburn or peptic ulcer. A pain that occurs when you breathe may be related to lung diseases such as pneumonia and pleurisy. Some people may suffer from a dull pain under right rib cage that comes and goes. This may be related to gall bladder stones or some issues with kidneys. This pain can also change steadily from mild to severe and radiate to your upper back. Although it is not life-threatening, you shouldn’t ignore it. Experiencing pain means that there is something wrong, you shouldn’t just ignore it. You’d better get a thorough physical exam, which can help determine the exact reason. Finding the exact causes is very important, which can assist the doctor to develop a proper treatment plan. This article discusses 14 common causes of pain under your right rib cage. There are different types of lung diseases that can cause pain under your right rib cage. Pneumonia is a common cause of stabbing pain under right rib when breathing. You may also feel headache, cough, fever, and chill. The common causes of pneumonia include fungal, bacterial, and viral infections. People who have been exposed to cigarette smoke for a long time are more likely to suffer from pneumonia. 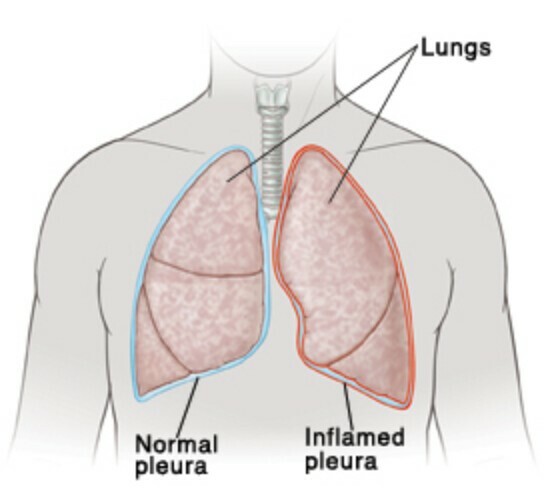 Pleurisy is usually caused by the accumulation of fluid in the lungs tissues. This also means that the tissue layers of the lungs are inflamed. The common causes of Pleurisy are rheumatoid arthritis, rib fracture, and lung infections. The chest pain caused by pleurisy may spread to other areas of your body such as right shoulder and back. You can feel chest pain when you cough or sneeze. The other symptoms include shortness of breath and tenderness in the area. A collapsed lung is also called pneumothorax. The space between the wall of the chest cavity and the lung fills up with air. This makes the whole lung or a portion of the lung collapse. The common causes of a collapsed lung include smoking, trauma to the chest or drug abuse. People who suffer collapsed lung may also experience a dry cough. You may also feel like you are being stabbed in the chest area when you breathe. Pulmonary Embolism occurs when one of the arteries going to the lungs become blocked. There are times when the blood clot may stem from the legs, but the pain will manifest underneath the rib cage. You may also suffer from shortness of breath or rapid breathing. This is a serious bacterial disease that can spread through the airborne droplets. Some tuberculosis patients have no symptoms, while others suffer from cough, fever, night sweats and weight loss. This disease may also spread to the spine and brain. You can prevent this condition by taking vaccines. Lung cancer is another reason for pain around the rib cage. You may suffer from a constant cough, tiredness, fast weight loss and even coughing out blood. 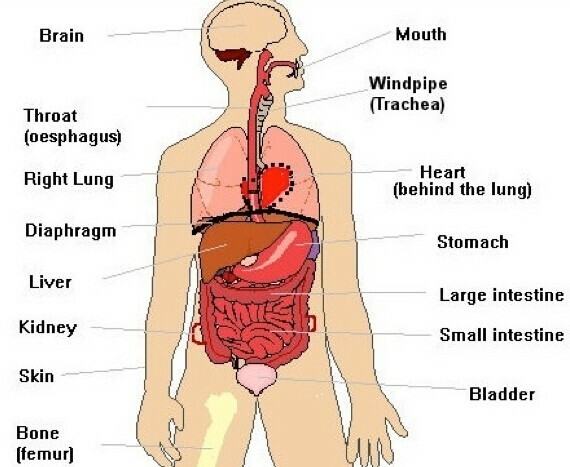 If you feel severe pain while breathing, your lungs may be infected. You should see your doctor to have an x-ray examination immediately. 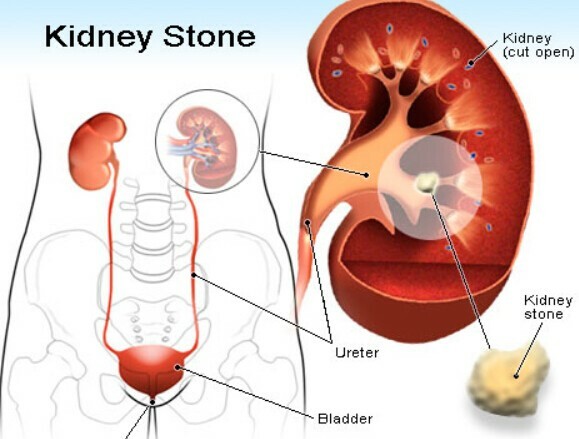 Kidney stone, also known as urolithiasis, is a common painful disease. Stones can form in your kidney due to salt and mineral deposits. Some small stones can be passed on together with urine, but some large stones may block the passage way. This will lead to kidney stones. The pain caused by kidney stones may come and go in the lower back or lower abdomen. It may also spread to the groin area when the stones move through the urinary tract. You may feel severe and sharp pain when urinating. And the urine is usually pink or red. This is an inflammation of the kidney due to urinary tract infection. It can cause frequent urination, fever, and severe pain under the ribs or around the groin area. This condition happens when small fluid-filled sacs accumulate in the kidney. The sacs can also grow very large after a period of time. Polycystic Kidney Disease can cause a swollen abdomen, high blood pressure, and pain under your ribs. The gallbladder is located in the upper right abdomen just under the liver and rib. Gallstones may form in the gallbladder because of the cholesterol build up. You may feel sharp stabbing pains under your right rib cage when the stones move into its ducts. The pain can also radiate to your right shoulder blades and back. Apart from the sharp pains, you may also have symptoms such as unspecific nausea, rapid heart rate, fever, and vomiting. This pain can be very painful, and it is always hard to pass out urine. If a gallstone blocks the bile flow, you may feel intense and stabbing pain in the upper-right abdomen. The pain usually lasts for 15 minutes to 24 hours. Gallstone is a serious disease, you should see your doctor immediately. This is a malignant tumor-like liver cancer. Some people may have no symptoms, others may suffer from abdominal pain, itchiness, fever and weight loss. Other symptoms of Gallbladder cancer include indigestion, nausea, vomiting, yellow skin and loss of appetite. This is a condition when the bile builds up in the liver due to the problems of bile ducts. This will damage the liver function and cause severe pain in the abdomen. This condition often occurs in pregnant women, so it is called intrahepatic cholestasis of pregnancy. Liver problems are common causes of pain under the right rib cage. Hepatitis can be caused by too much of alcohol and viral infections. You may feel fatigue, fever, weakness, and abdominal pain under the right rib cage. Severe external forces such as a car accident or surgery can damage the liver’s abdominal wall and cause liver trauma. Long-term excessive alcohol consumption can cause liver damage, leading to cirrhosis. Fatty liver refers to a condition wherein the liver acquires fat from the rest of the body. Usually, people who are suffering from obesity, diabetes, high blood cholesterol and hypertension tend to have this condition. This is a mass filled with pus in the liver. Some abdominal diseases such as appendicitis and diverticulitis can cause liver abscesses. They are often accidentally discovered during the abdominal imaging procedure. Liver cysts are usually asymptomatic, however, sometimes they will also cause pain under the right rib cage. A block in blood flow to the liver can reduce oxygen to the liver tissue. This can cause pain under the right rib cage. Hepatic artery occlusion often occurs during chemotherapy. Liver cancer is a malignant tumor. The common symptom includes heavy pain in abdomen, swelling, fever, brown urine and unexplained weight loss. 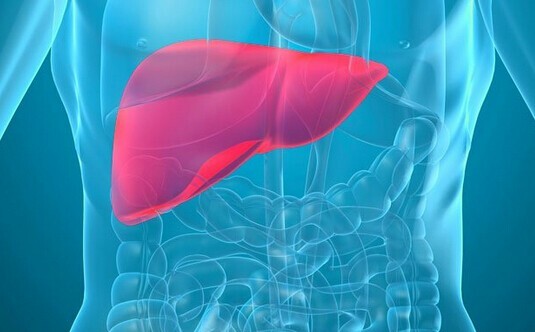 The most common cause of liver cancer is hepatitis, alcohol, or the spread of cancer in other parts of the body. Liver cancer is life-threatening. If you suspect the pain is related to liver cancer, you should consult your doctor immediately. Stomach ulcers are an inflamed wound on the stomach lining or appear in the small intestine. It can cause burning pain under the ribs that comes and goes. The other symptoms include acid reflux or even stomach bleeding. Do not take drugs such as aspirin or ibuprofen to cure stomach ulcers by yourself. These medications may worsen your condition, you need to see your doctor as soon as possible. Irritable Bowel Syndrome (IBS) is very common nowadays, which is a group of symptoms such as abdominal pain and difficulty in bowel movements. Many studies show that it is related to stress and unhealthy diet. Although the real reason for Irritable Bowel Syndrome is not known, its symptoms are clear. The common symptoms include lower abdomen cramps, nausea, diarrhea, excess gas, constipation, chest tightness, bloating, heartburn and difficulty in swallowing. You may feel less pain when you move your bowels. Some natural remedies such as vera juice and lemon juice can help get rid of IBS. Inflammatory bowel disease (IBD) is usually caused by inflammation of the digestive tract. For example, Crohn’s Disease is an inflammatory bowel disease that some people get afflicted with. The common symptoms of IBD include coughing, weight loss, heavy diarrhea, ulcers, flatulence, difficulty in swallowing, blood in the stools and pain under the ribs. Colitis is another common inflammatory bowel disease. Young people tend to get this disease. This is mainly due to the bad eating habits of many young people. The common symptoms of colitis include weight loss, vomiting, nausea, diarrhea, cramps, and severe abdominal pain. You can take anti-inflammatory drugs to relieve the pain. Diverticulitis is an inflammation or infection of the pouches in the colon. It can lead to fever, nausea and abdominal pain. You need to go to the hospital for medical treatment. When the body is having a hard time digesting food, your system will produce a lot of stomach acids and gas. Gas may be trapped in the digestive system and cause abdominal pain under your ribs. This pain is similar to the pain caused by appendicitis or gallstones. Gas pain is usually caused by the regurgitation of food and reflux of acid. Foods which is rich in carbohydrate, starch, and fiber are more likely to produce gas. Osteochondritis is also known as chest wall pain. It refers to the inflammation or swelling of the muscles connecting the ribs and the sternum. The pain caused by Osteochondritis is similar to the pain during a heart attack. Therefore, osteochondritis is often mistaken for cardiovascular disease. You can distinguish this condition from other symptoms such as abdomen pain, fatigue, fever, and difficulty in breathing. The common causes of costochondritis include injury, fibromyalgia, respiratory diseases, arthritis, excessive coughing and infection after surgery. You can take anti-inflammatory drugs to treat Osteochondritis. If you are suffering from a dull pain that becomes sharper after a period of time, appendicitis may be the culprit. The pain from appendicitis usually starts from belly button and spread to right abdomen below ribs. As the pain spreads, the pain also intensifies. You may feel sharp and intense pain around the location of the appendix. This means that your appendix has become inflamed. The other symptoms include nausea, diarrhea, fever, abdominal swelling, and vomiting all the time. 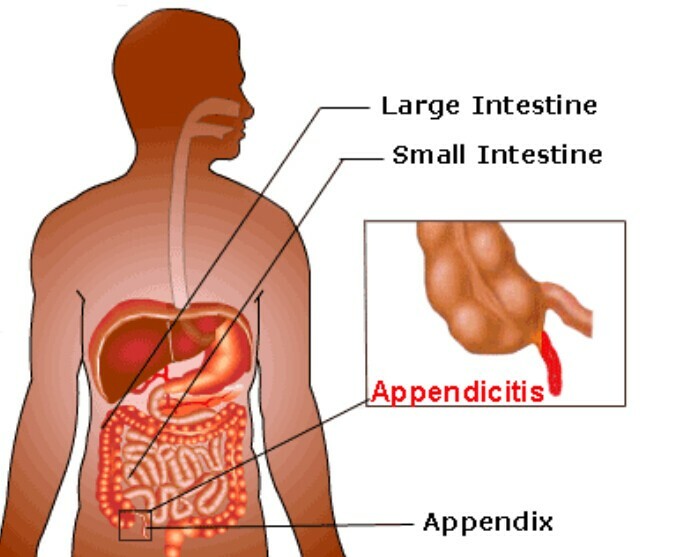 If you suffer from appendicitis, you should get medical attention immediately. When your appendix ruptures, this can be life-threatening. Pancreatitis is an inflammation, infection or swelling of the pancreas. This can cause a sharp and intense pain under your right ribs. But sometimes the pain may be intermittent or even unnoticeable. This pain may also spread to the sides and back of your body. You may feel a bit relieved when you lean forward. The other symptoms of Pancreatitis include fever, pale yellowish skin, nausea, vomiting and swollen, tender abdomen. The stools may also become oily and smelly when you have chronic pancreatitis. The common causes of pancreatitis include gallstones, drinking too much alcohol, organ injury and too heavy meals. It can be aggravated by eating fatty foods. Pancreatitis is a very serious disease, you must visit your doctor as soon as possible. Injuries are the most common cause of pain under the ribs. 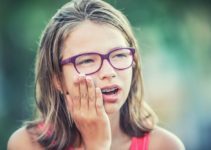 This pain can be mild or severe. Muscle strain can be restored by adequate rest. Pain caused by severe injuries or fractures can make your movements difficult. A rib cage injury can also lead to other serious problems such as pleurisy, collapsed lung. The injury may also damage the organs which are protected by your ribs such as liver, spleen or kidneys. 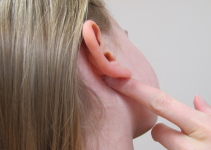 In this situation, you will need an X-ray examination to determine how serious the injury is. The right rib cage pain is a common symptom during pregnancy, especially in the third trimester of pregnancy. Your baby stretches in the uterus, causing the uterus to extend outward. When your baby pressures your ribs, you may feel a sharp pain and it will make your breathing difficult. If the baby pressures your stomach, you may suffer from stomach acid and indigestion. In addition, pregnancy can dramatically change your body’s hormone levels. This can increase the size of your uterus and breasts, and cause pain in the ribs. However, you do not need to worry, these symptoms will disappear after the delivery. This is a common gastrointestinal disease. It is caused by the lack of enzymes that digests lactose. You may feel nausea, bloating, cramps, gas, and diarrhea after eating lactose-containing foods. This is similar to lactose intolerance and it is due to intolerant of gluten. You may feel bloating, cramps and diarrhea after eating wheat, rye, and barley, which may also cause osteoporosis and infertility. You can take less milk and cereal to treat lactose intolerance and celiac disease. In addition, you can have it with other foods to slow down the digestive process. This is a painful rash caused by the varicella-zoster virus. This virus can also cause chickenpox. Anyone who had chickenpox has the potential to develop shingles. You may suffer from a stripe of blisters on the skin. It can also lead to pain in your ribs area. You can take some antiviral medications such as valacyclovir or acyclovir to reduce the pain. The peritoneum is a membrane that covers the abdominal organs. Peritonitis is the inflammation of this sac. It can be caused by a burst appendix. You may suffer from tenderness, fever, nausea, vomiting and severe pain. This condition is life-threatening. You need to get medical attention as soon as possible. If you are already having the problem below, you should seek medical treatment immediately. Sudden tightness pain under your breastbone. The pain radiates to your left arm and back. Rapid breathing and heart rate. I am Naveen ..i 18 years, iam suffering from pain in lower left and right ribs….from Last 10days …please help me…. Pain in lower left side can indicate a series of problems.You’d better choose a good hospital for a comprehensive examination. I too have paid pains on my right side. Under my rib. I’ve had a colonoscopy, a lapraacopy, a CT scan, ultra sounds vaginally, and stomach. They thought I may have endo. And did a lapraacopy. Came back with nothing. This pain is soooo real. And hurts so bad at times. Especially after I eat. Or do more the. Uaual. I always have loose stools. When i have the pain it hurts worse to move. I get Nothing for pain. Idk what to do. But this pain under my right rib, and by my hip are so bad at times. Please help.. I feel like no one cares. I have to switch gi.. because I hate mine.. that I did have. Hi Meghan. Ask your GI Dr if you may have a hyperactive duct that is releasing bile. I had that and was prescribed colestipol and worked miracles. I think that you might need to see a doctor. Hello, I’m 18 years old. I have just experienced crampy pain on my upper right stomach just where under the rib cage so I assume the pain is from the gall bladder. I start to feel the pain in the afternoon but just partially and it’s gone. It even hurts more when I try to push it or fold my body. Tonight I eat snack and starts to feel the pain again and it’s even more obvious. Now it does not go away for half an hour. These days I have an overeat habit and eat just every night . I’m usually a healthy person and my BMI is in a healthy condition. Please clarify me whether it is too much gas or I may have gallbladder problem. My guardians don’t let me go to the hospital because they think it is just a temporary pain. I my names hannah i am 19 years old i am having pain under my rib on the right side of my body front and back i have heath issues but this is new do you have any idea whats wrong? What would be causing my right side right below my rib cage and above my hip bone to hurt?? My name is Alexys and I’m 17 years old and I have this really bad pain under right rib cage on my right side and it feels like someone is stabbing me I don’t know what it could be. Do you think you guys can help? You’d better go to the doctor and get tested. A lot of reasons can cause lower ribs pain.You’d better go to the hospital to do a comprehensive examination. I had uncomfortable and then sharp pains on the left side of my rib cage last week, and this week I’m having the same pains on the right side. It did go away on my left side for a few days before starting on my right. What could this be? It is probably gas. Your appendix and gallbladder are on your right side. Try taking a walk. That should bring you some relief. My name is Gary and I’ve had a mild pain just inside my right rib cage for about 3 days now. The worst pain occurs when I hiccup. Sneezing, coughing and burping have almost no pain. Using my fingers to press up under my ribs causes some pain. I haven’t noticed any foods causing any problems. Stretch your arms out towards the sky, then put your hands together, reach even higher, then tilt to the left. hold for 30 seconds. repeat 5 times. it should stretch out the muscle in the rib area that is in spasm. And to add to what I wrote. Idk where it went after I sent it. But I’ve had this pain for at least a yr. I have a iud. But had the pain before. I smoke weed, and cigarettes but I’m trying to.quit them..the weed helps me eat bc I’m never hungry and when I do eat..it hurts so bad..then I have to go to the bathroom. I don’t have a gallbladder either. Idk what to do. And nothing to control my pain..and I have to kids. It’s really affecting my life. I have the same exact problems as you Megan. The doctors tell me there is nothing wrong. I don’t have a gallbladder either but I get this knots inside my stomach and they hurt so bad. You can only feel the knots when they show up. They come and go.